The U.S. dollar has been the pushy salesman who won’t take no for an answer when it comes to potential declines from a more dovish Federal Reserve. On Tuesday, the greenback gained against the British pound and the euro in a display of more surprising strength. 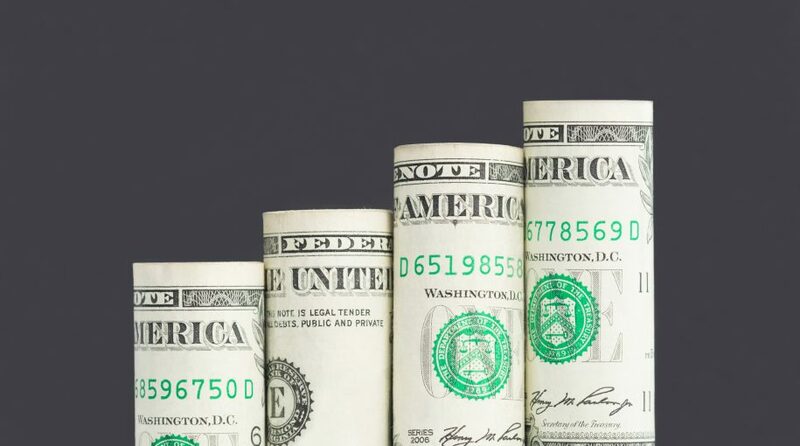 The gains in the dollar come even as the central bank alluded to no more rate hikes for the rest of 2019 after initially forecasting two as it kept rates unchanged last month. The capital markets initially expected rates to remain steady after the central bank spoke in more dovish tones following the fourth and final rate hike for 2018 last December. Of course, less hikes and a rate cut would translate to dollar weakness, but the greenback has been snubbing that notion as of late. The U.S. ICE Dollar Index, a key measure for the dollar against 12 other currencies, has been on an upward trajectory since April 2018. Of course, a stronger dollar is translating to indigestion for gold traders–the precious metal has taken a back seat with the precious metal falling one percent on Tuesday to settle at a price of $1,274.05 as of 1:30 p.m. ET. Invesco DB US Dollar Bullish (NYSEArca: UUP): seeks to establish long positions in ICE U.S. Dollar Index futures contracts with a view to tracking the changes, whether positive or negative, in the level of the Deutsche Bank Long USD Currency Portfolio Index — Excess ReturnTM over time, plus the excess, if any, of the sum of the fund’s Treasury Income, Money Market Income and T-Bill ETF Income over the expenses of the fund. The fund invests in futures contracts in an attempt to track its index. The index is calculated to reflect the changes in market value over time, whether positive or negative, of long positions in DX Contracts. WisdomTree Bloomberg U.S. Dollar Bullish Fund (NYSEArca: USDU): an actively managed ETF that seeks to provide total returns, before fees and expenses, that exceed the performance of the Bloomberg Dollar Total Return Index, which seeks exposure to both the U.S. dollar and global currencies held by the index through investing, under normal circumstances, at least 80% of its assets in money market securities and other liquid securities. Invesco DB US Dollar Index Bearish Fund (UDN): seeks to track the changes in the level of the Deutsche Bank Short US Dollar Index Futures Index, which reflects the changes in market value over time, whether positive or negative, of a short position in the DX Contract which expires during the months of March, June, September and December. The fund seeks to track the index by establishing short positions in DX Contracts. DX Contracts are linked to the six underlying currencies, or the index currencies, of the U.S. Dollar index (USDX®), or the USDX®. The index currencies are Euro, Japanese Yen, British Pound, Canadian Dollar, Swedish Krona and Swiss Franc. For more market trends, ETF Trends.